This Tom Ford dress helped put Gwyneth Paltrow at the top of People magazine's Best Dressed list. Actress, singer, cookbook author — and now People magazine’s best-dressed celeb. Gwyneth Paltrow took that honor Wednesday. A fan of Tom Ford, whose caped white gown she wore to the Oscars, and Stella McCartney, who designed her black racer-back dress for the Grammys, Paltrow has been praised for her minimalist yet elegant style. Next up on People's list was Kate Middleton. 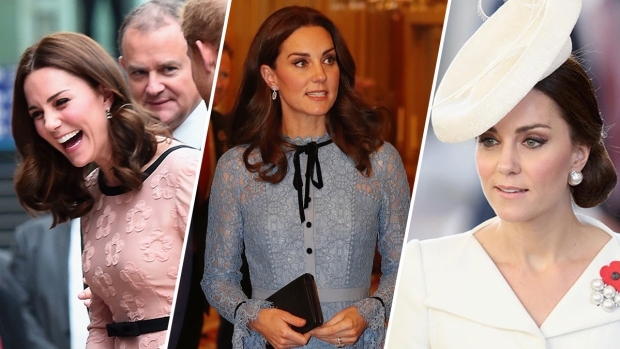 The Duchess of Cambridge, a fan of Alexander McQueen and Jimmy Choo, has become a bit of a fashion icon as the future queen. Emma Stone earned her number three spot with her stylish Met Gala and Golden Globes looks earlier this year, wearing Lanvin to both. In a three-way tie for fourth place were the Kardashian sisters. Reality starlets Kourtney, Kim and Khloé are preparing to debut the fall line for their Kardashian Kollection of clothes, eyewear and shoes. In at number five was supermodel Miranda Kerr, best known for mixing patterns and neon colors. Rounding out the top 10 were Reese Witherspoon, Rihanna, Jessica Alba (a best-dressed list repeat since 2010), Diane Kruger and Jennifer Lawrence.